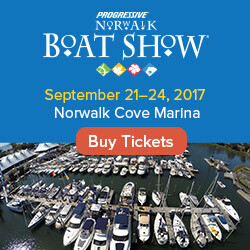 The National Transportation Safety Board (NTSB), the US Government Agency that is perhaps best known for investigating airplane accidents, recently removed recreational boating from what it calls its “Most Wanted List of Transportation Safety Improvements.” The NTSB says that many states have “responded favorably” to federal recommendations to improve boating safety, but there are still many states pushing back. 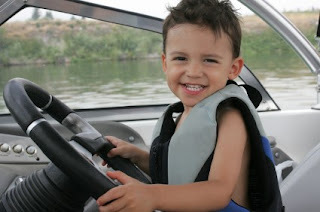 Such states have insufficient boating safety requirements, specifically in regards to children’s life jacket laws and mandatory boater education. For the record, the NTSB replaced boating with motorcycling on their watch list; and for the record, we were surprised motorcycle safety was not already on the Most Wanted list. The NTSB says that there were 4,400 motorcycle fatalities last year, which outnumbers those in aviation, rail, marine and pipeline (the sectors watched by the NTSB) combined. For comparison, nearly 700 people die in recreational boating accidents in the United States each year. 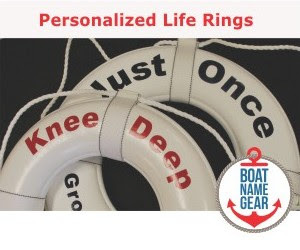 Despite pressure from the NTSB, and despite the fact that over 70% of boating deaths are due to drowning – mostly by people who were not wearing life jackets - there are still two states that do not require children to wear life jackets. Those states are Wisconsin and Virginia. In addition to the 13 states that the NTSB called out by name, there are several more states that do not require a boating education safety course for adults, although some are stricter than others about 10 or 12 year-olds that operate motor boats. These states include Texas, New York and both Dakotas, as well as Washington, D.C.
Now before you comment and applaud the two states that are holding on to personal freedoms, ask yourself if you would allow your children to ride in a car without a seat belt – especially if you knew all the other drivers on the road had never taken a driver’s exam or had even one hour of driver education before operating their vehicle. Of course nothing beats hands-on training, but online boating safety courses such as those offered by boaterexam.com can help you learn the rules of the waterways and be a safer boater. You can find boating education requirements for your state and local education resources at FirstBoat’s boating by state portal, online at firstboat.com/states.